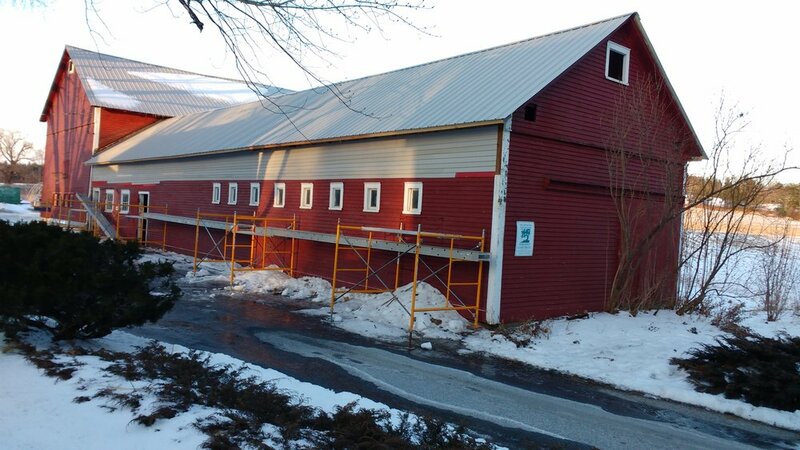 The barn repair is complete! Demolition after the 10/30/17 wind storm was a burdensome process followed by construction through a cold December and January. 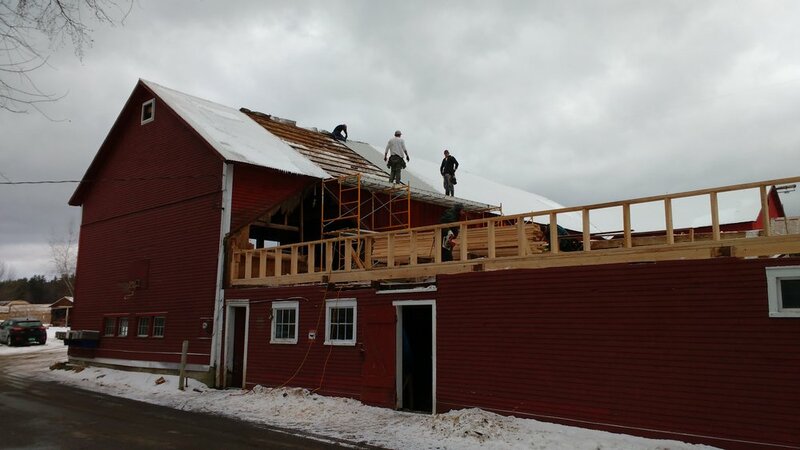 Thanks to Todd Brown, Nate Ely and Brian Ploof for their help in creating the strongest roof on the farm. Should be a 100- year fix. 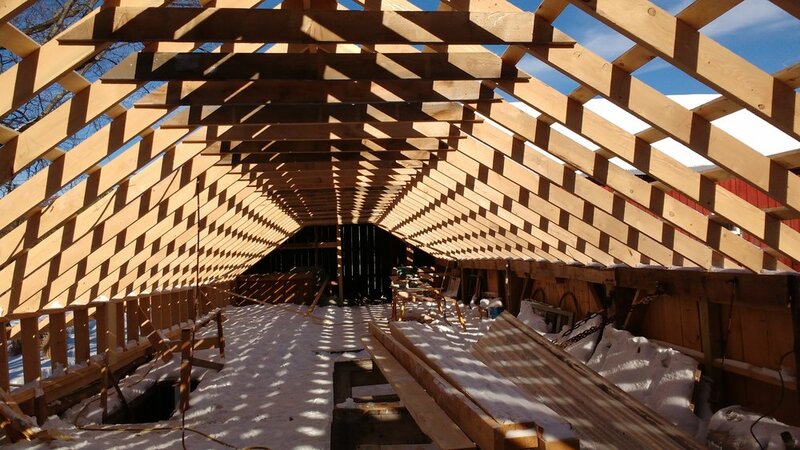 Also thanks to Dave Pratt (Millbrook Construction) and Danny Begins for their excellent work on the big barn roof and the generous loan of staging. We can turn attention now to preparation for the planting season, which will see a big increase in the acreage devoted to cabbage, potatoes and winter squash. We are a not-for-profit and every penny we receive goes into crop production. No salaries, no overhead, no benefits. 100% of your contribution becomes food for hungry Vermonters. Thanks for the support !